Happy Holidays from WPG Cycle! Warm Wishes to You and Yours this Holiday Season! Our last ride before the break will be December 23rd at 6pm. Donate Dominate for Alzheimer’s. We will be closed December 24th through 26th. See you back in the saddle December 27th at noon. Sleep in! 6am classes will be on hold the week of December 27-31st. We will be closed New Year’s Day, re-opening January 2nd at 9am. 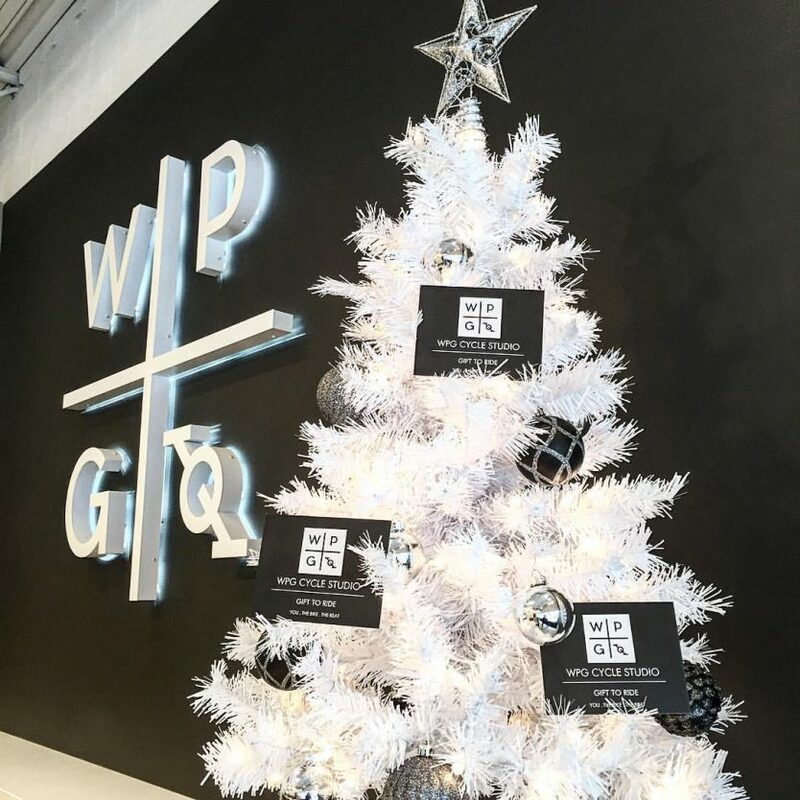 Put WPG under the tree this year! We have great gear available in studio and gift certificates for all our ride packages. Bundle up: Try a five ride pass, a men’s or women’s basic tank and WPG Cycle water bottle for $125. Watch our social channels for a Boxing Day blitz! New evening hours coming your way January 3rd. Thank you riders for your love and support through our first couple months. We have exciting things planned for 2017!